WHY GO: The light. The clam shacks. The breathtaking salt marshes. All that is authentic Cape Cod is concentrated along this magnificent stretch of old Route 6A, where you can indulge in great art followed by exquisite meals and then spend a night amid the splendor. DO: Bike the 22 Mile (each way) Cape Cod Rail Trail. 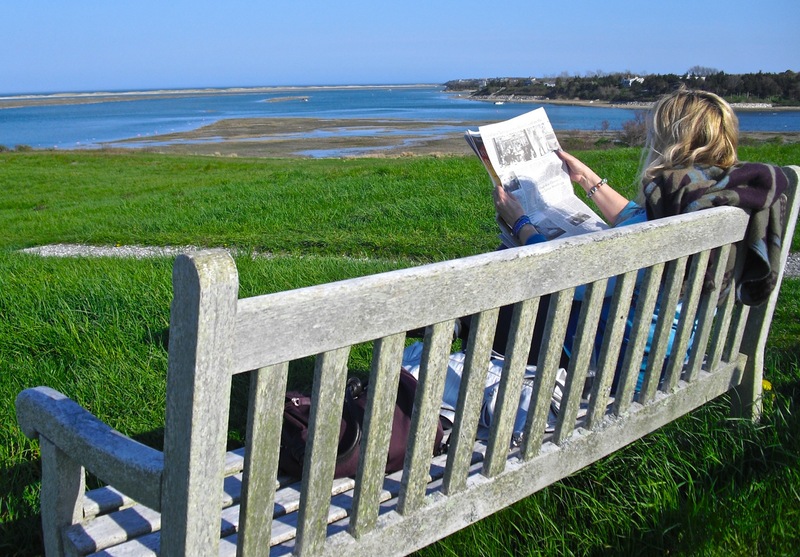 The well-maintained flat and paved 22-mile Cape Cod Rail Trail runs from Dennis to Wellfleet. No worries if you don’t have a bicycle; there are plenty of places to rent along the trail. At Cape Cod Rail Trail Bike and Kayak in Brewster, you can park for free, rent a bike for $30 for the day and start on the trail right out back. You’ll share this popular path with tots and seniors – it’s the perfect “leg stretcher” before retiring for the night nearby. VISIT: Cape Cod Museum of Art, Dennis. Nestled within an assemblage of cultural institutions, the Cape Playhouse, “America’s Oldest Summer Theater” and the renovated church Cape Cinema – host to first run independent/art movies – share a parking lot with the phenomenal Cape Cod Museum of Art. With more than its share of famous artists, Cape Cod residents were irritated by the fact that much of what was created here was shipped off Cape into the hands of collectors. This beautiful sunlit soaring space was built to keep at least some key pieces of art “on Cape.” Two main gallery rooms – one featuring a soaring ship-hull ceiling –best reflect the 30 art exhibitions mounted each year. Open Memorial Day – Columbus Day Mon – Sat. 10am – 5pm, Thurs. 10am – 8pm, Sun. Noon – 5pm, $8. Next door, grab a signature “Nutmeg Muffin,” from Buckie’s Underground Bakery. Dipped in butter and rolled in cinnamon sugar, this decadent muffin will undermine your diet for sure. No wonder the place is packed every morning. Mon-Sat.6am-5:30 pm, Sun. 6am-3:30PM. 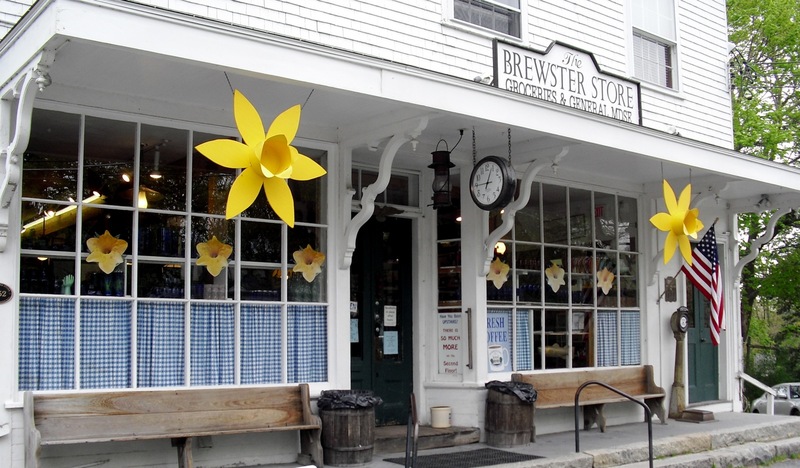 SHOP: Brewster Store, Brewster. Stop to stomp on the old wide-planked floors of The Brewster Store, an old fashioned General Store of Yore (though the prices here are inflationarily modern). Baskets of tchothkes, a jumble of stuff, you could browse around for hours. Cobalt glass, lobster magnets, fudge, and those candy sticks (4 for $1) forever associated with elementary school field trips can be found among suspenders, mood rings ($3), antique tin signs and a bazillion other things on two floors. SHOP: Scargo Pottery, Dennis. Making your way up a wooded dirt road, you’ll see a few cars parked near a sculpture garden and clapboard building. 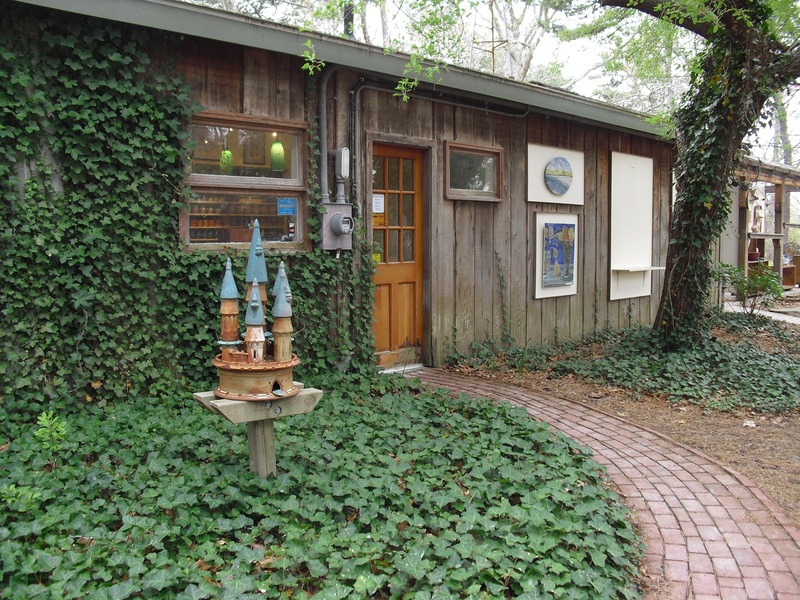 This is home to notable clay artists and jewelers who work and sell their fetching wares in this shop/studio. Purchase a unique Kremlin-like birdhouse, sculpted wall hanging, or one of a kind “Wedding Plate”. Ceramic craft collectors will love this tucked-in-the-woods find. Daily 10am – 6pm. EAT: Arnold’s Lobster & Clam Bar; Perhaps the most longstanding Cape Cod tradition is to gather with the hungry hordes outside at the 30 year old Arnold’s Lobster & Clam Bar for consummate fried and steamed clams, delicate “onion straws” and all manner of fresh shellfish, seafood and burgers. Lines form early in the summer, so be prepared for a wait. Lobster Rolls $15.99, Fried Seafood Basket for Two, $25.99. SNACK; Cobie’s Clam Shack, Brewster. 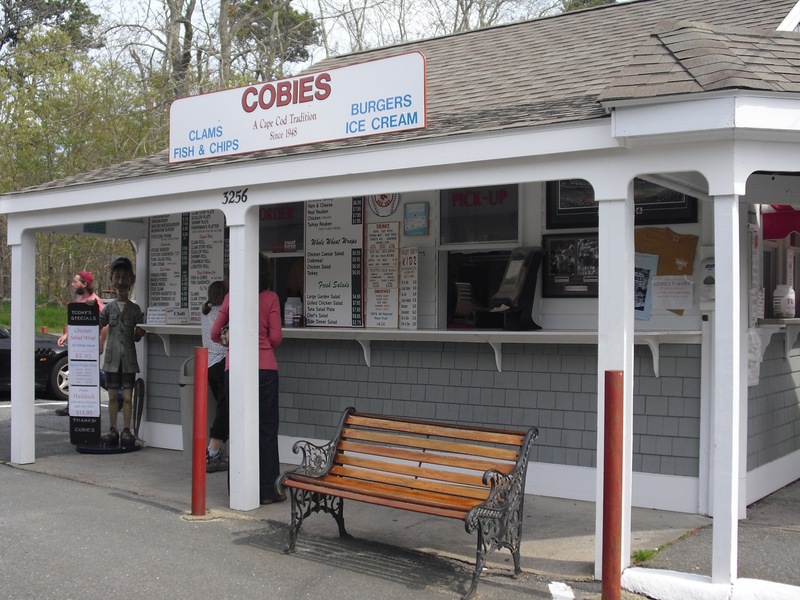 Cobie’s is a picture-book roadside stand that serves up ice-cream, golden fried clams, hot dogs and all the great paper-plate dishes of summer. Burgers ($5.95), Lobster Roll ($14.95), Box of Fried Clams ($18.95) – no frills, pure summer-shack ambiance. Open May 17-Columbus Day 11am-9pm. EAT: Chillingsworth Restaurant and Chills Bistro, Brewster. If you’re feeling flush or are celebrating a special event, plan an evening at the excellent Chillingsworth Restaurant and Chills Bistro. Zagat’s deemed Chillingsworth “worth the drive from anywhere.” If you want to rush or catch a movie, ask to be seated in the Bistro – a more causal and lower priced section of the restaurant. For a meal to savor, reserve a table one of the intimate rooms in a gracious circa 1600’s home. The tasting menu might include Black/White Truffle Mac and Cheese, tuna tartar ringed by mango puree, a trio of ambrosial soups, perfectly seared Cape Scallops sitting on a bed of fresh corn risotto, and a cloudlike lemon custard for dessert. It’s so worth the $70 per person splurge. EAT: Brewster Fish House. It’s first come first served (no reservations taken) at this sensation of a restaurant. Some of the most innovative, contemporary dishes – Roasted Bone Marrow with Sea Urchin as Starter, anyone? 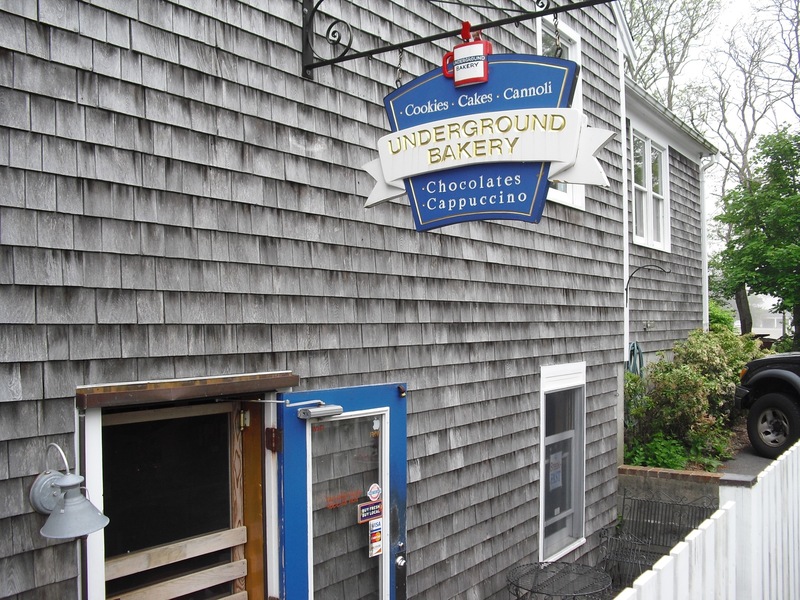 ($14) – emerge from the kitchen in this cozy cottage right on Route 6A. From Grilled Faroe Island Salmon with Orange Cumin Glaze ($25) to Fettucini with Grilled Vegetables and Truffled Mornay Sauce ($18), your taste buds will thank you no matter what you choose. STAY: Fort Hill B&B, Eastham. 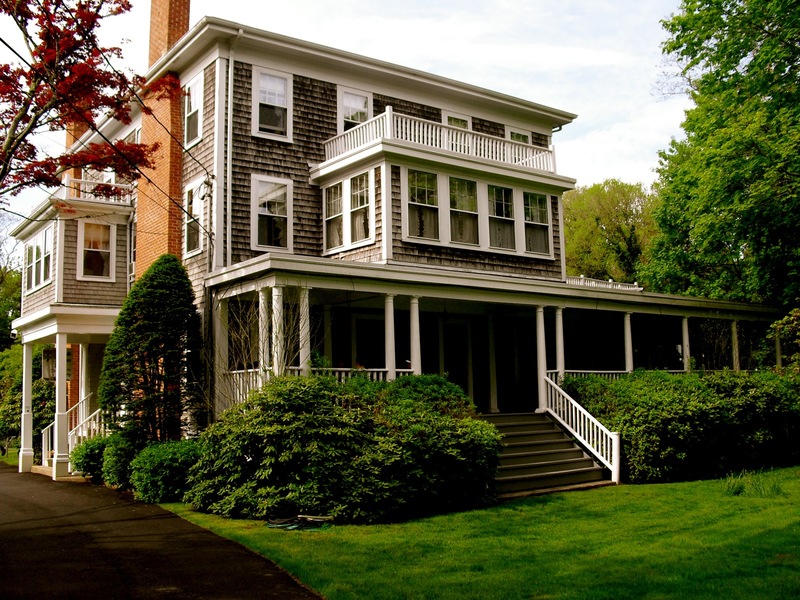 There’s one charming inn located within the National Seashore; Fort Hill B&B. This three-suite luxury inn is one block off busy Route 6 in the Historic Fort Hill District and in its own universe. Say hi to owners Jean and Gordon Avery, drop off your bags, then walk a minute up the road to the trailhead of the popular Fort Hill Trail and Nauset Marsh. Sandbars and marsh grass lend texture to the Atlantic Ocean waterscape below where a mile-long path dips down into a cat-tailed rimmed shoreline. Don’t miss a hushed sunset stroll before heading out to dinner. Breakfast is served at 8:30, but Gordon sets out coffee by 7:30, turns on mellow music and lights a fireplace fire (a real one!) to take the chill off. Jean whips up fresh fruit and yogurt parfaits, blueberry cake, pear pancakes and other toothsome dishes, served on china in a formal dining room. Rooms and suites $200-$375, includes gourmet breakfast. STAY: Captain Freeman Inn, Brewster. 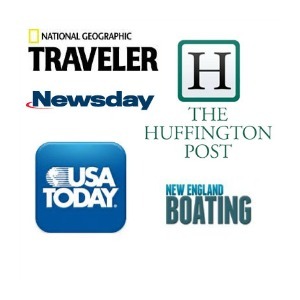 A relative newcomer (owners now in their 3rd season), the Captain Freeman has won over plenty of discerning travelers. With truffles and fresh flower upon arrival, sherry, afternoon tea, “farm to table” breakfast, and Victorian-style rooms in ocean-blues and beachy tans, the Captain Freeman is turning out to be one of those resort inns bound to be booked a year in advance. 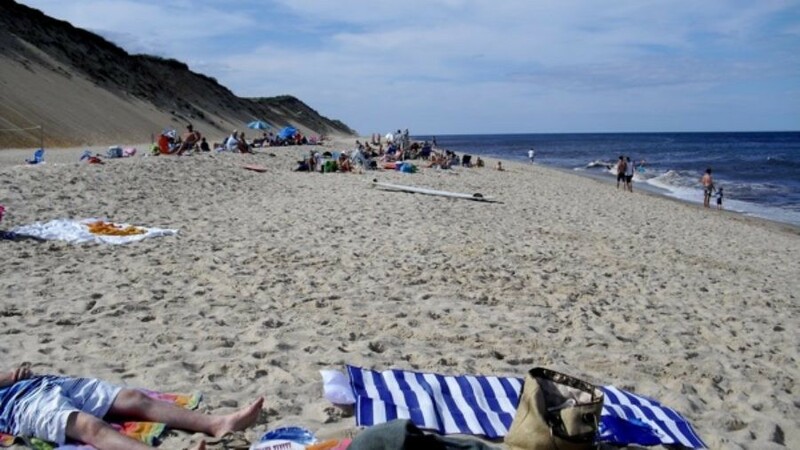 The best lodgings all over Cape Cod fill up fast for summer nights, so either plan far ahead or consider making your getaway in the off season. Two night minimum, rates from $200-$325 per night in season. 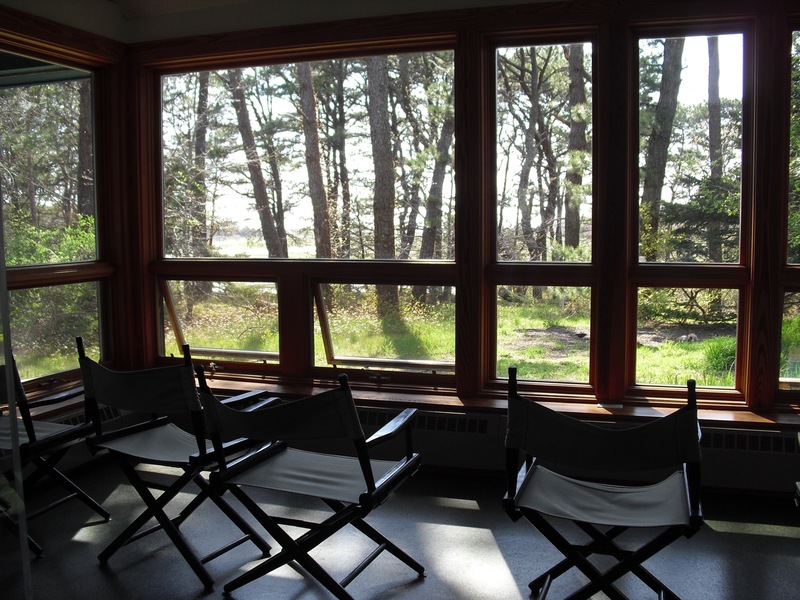 STAY: Old Sea Pines Inn, Brewster. Steve and Michele Rowan have kept a “resort of a former era” vibe alive at this former elite boarding “Charm School” for young women, now a 24-room inn. Burnished wooden floorboards, floral quilts on the brass beds – each room is unique, fresh and lovely. Old Sea Pines is not on the beach. It is not high tech or “stylish.” There are no TV’s in the rooms. “It is what it is, and we want it that way,” Michele says. Best bet for a lazy early evening; enjoy a glass of wine ($6) or a beer ($4) while settling into a rocking chair on the sheltered front porch. During the summer, Old Sea Pines hosts a Musical Dinner Theater ($58 includes dinner and a show) in the enclosed patio where a hot breakfast is served every morning. This place is a rare find; a “resort” location at reasonable rates. $120-$210 includes complimentary wi-fi and hot breakfast.